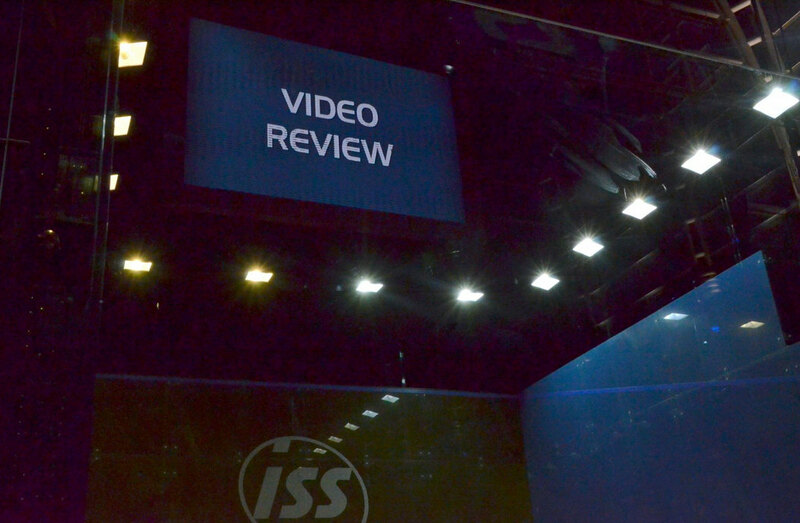 After extensive trials at recent major PSA World Tour events, the PSA is rolling out its Video Review system at all future televised events, starting with the ROWE British Grand Prix in Manchester later this month. The system allows match officials to review decisions (eg, 'Let', 'Stroke' or 'No Let') questioned by the players, via TV action replays viewed by a fourth official, the Video Referee. Players are allowed one appeal per game, which remains live following a successful appeal. In the event of a game reaching 10-all, each player has his single TV appeal opportunity renewed. The replay of the incident is played on a large screen - with the decision then flashed up on the screen for all to see. "Following the successful trials at the Canary Wharf Classic in London and last month's Australian Open, we are delighted to be introducing Video technology at all our future PSA televised events," explained PSA COO Lee Beachill. 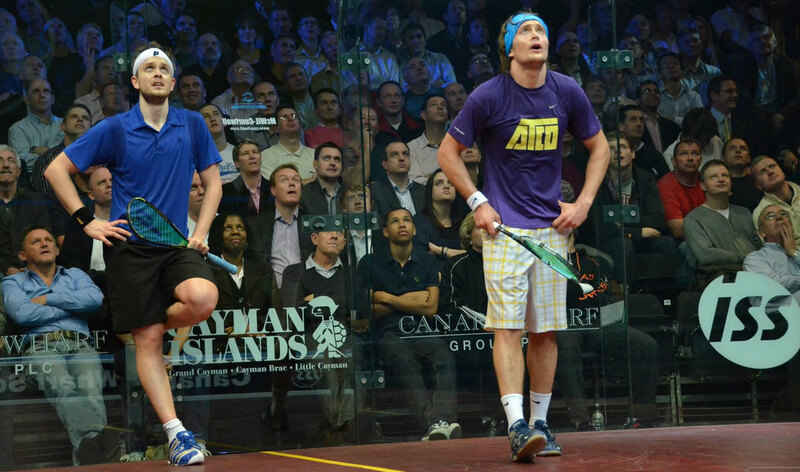 "Video technology is used in most of today's high profile sports and we don't feel squash should be any different. We are now filming and producing squash to a level where this technology is available to our officials and, after consultation with referees and players, it has been decided that it should now be used wherever possible. "The Australian Open was a resounding success, with fantastic crowd participation and far less player/official dialogue," added Beachill. "We are confident that this will continue to improve the spectator experience at our major events." The PSA has confirmed that, despite the best efforts of all parties concerned, the 2010 ATCO PSA World Series Finals final will not now take place. Staged in spectacular style at The Queen's Club in London in January, the flagship PSA event featuring the world's top eight players was prevented from reaching a conclusion when the inflatable structure in which the climax was due to be staged became unsafe. Nick Matthew, the world number one from England, was due to face Egypt's four-time world champion Amr Shabana - both players bidding to win the prestigious title for the first time. "Whilst we are hugely disappointed with not being able to hold the postponed final, we feel this is the right decision," explained PSA CEO Alex Gough from Canberra, after the final of the highly successful Viridian Australian Open, the third PSA World Series championship of 2011. "It was such a fantastic event, until the unfortunate situation on the final day, and it would have been a costly exercise to replicate for a single match. Both Nick and Amr have been kept informed at all stages of the year and, whilst disappointed in not completing the event, have been totally supportive and understanding of the position," added Gough. "We are now fully focused on the 2011 edition of the PSA World Series Finals which will again be at Queen's this coming January." Matthew, the runner-up in Canberra, said: "It was obviously a massive disappointment both at the time and now to hear of the cancellation of the World Series Final. It was one of the finest tournaments I have ever been involved in and one which was set to change people's perspectives about the way squash can be presented. "Hopefully it still achieved that to a certain degree, the work that Ziad (Al-Turki) and the PSA put in to it certainly deserved it, and it's a tournament that will go from strength to strength in the future." The PSA is assuring its members that it is keen to reschedule the flagship PSA World Series Finals final, but is unable yet to move forward until certain legal issues are resolved. Staged in spectacular style at The Queen's Club in London in January, the ATCO PSA World Series Finals was prevented from reaching a conclusion when the inflatable structure in which the final was due to be staged became unsafe. "We have been working closely with the promoters and event managers to determine what went wrong and why," PSA CEO Alex Gough told his members. "We are still in the process of discussions with the various companies involved in staging the event. Regrettably we may be forced into litigation to recover the substantial monies invested in this showcase of squash. "We will be unable to move forward with the proposed finals until this is resolved. "The matter is now in the hands of the PSA Director Richard Bramall. We are pressing the responsible party to conclude our reasonable claims to enable the showcase to be staged in 2011." 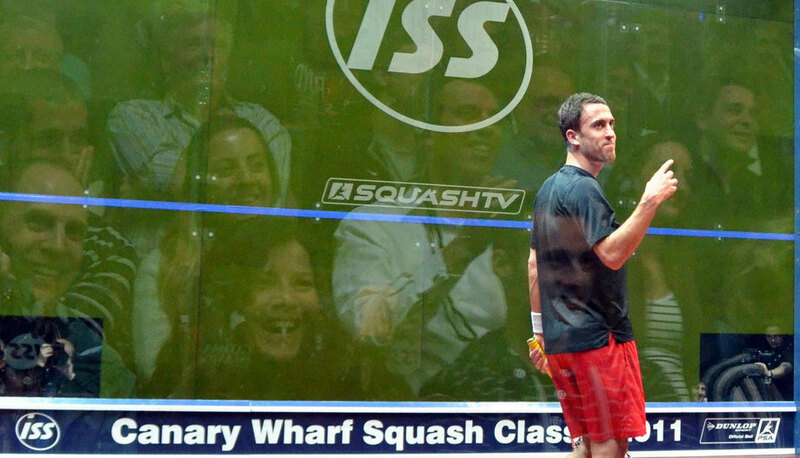 The Professional Squash Association has confirmed the nine events that will comprise the top tier PSA World Series calendar for 2011. In addition to this will be the PSA's premier annual championship, the World Open - the 33rd edition of which will take place in Dutch city of Rotterdam from 30 October to 6 November. 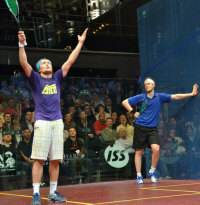 The PSA World Series, launched this year, features events which have prize-funds upwards of $115,000. These championships represent the pinnacle of the men's game and are the main focus of the PSA's global TV coverage. The events form a series throughout the year that will produce eight players who will compete in the PSA World Series Finals. Following the first two PSA World Series events of 2011 in the USA - the JP Morgan Tournament of Champions in New York in January and the North American Open in Virginia in February - the Australian Open will celebrate its second year as a World Series event in Canberra, from 8-14 August. The ROWE British Grand Prix, for the second year the biggest event to be held in England, will take place at the National Squash Centre in Manchester from 19-25 September. The US Open, one of the oldest events in the world squash calendar, becomes a World Series event for the first time from 30 September to 6 October in Philadelphia. The championship returns to the largest city in Pennsylvania for the first time since 1993. The Qatar capital Doha becomes the focus of World Series activity from 16-21 October with the tenth staging of the Qatar Classic - which is followed by the 25th edition of the Hong Kong Open from 15-20 November. The Kuwait Open, from 24-29 November, leads to the final World Series event of the year, the Punj Lloyd PSA Masters in India, from 12-18 December. "We are delighted to have secured another great World Series line up for 2011," said PSA CEO Alex Gough of the year's elite programme of PSA events which boast a total prize-fund of $1,225,000. "The prize money is ever increasing and the standard of the events is improving all the time. "Our event organisers have to be congratulated as we are looking at more and more commitment from them as we push the game forward in many areas. This year's TV output and distribution will be the best yet and we are all looking forward to the players battling it out for this year's PSA World Series title." 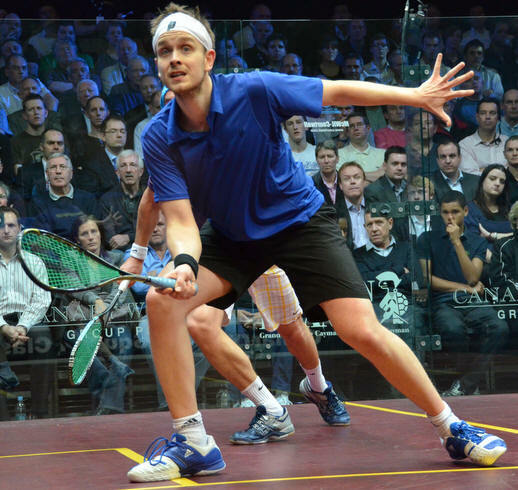 England's world No4 James Willstrop has been elected President of the Professional Squash Association. The election took place following Egyptian Amr Shabana's decision to stand down. "I am very happy with the process," said PSA Chairman Ziad Al-Turki. "The players were all eager to be heard at the AGM, and this is their vote. "The PSA Board have made significant strides in the right direction over the last couple of years, but James has been very vocal of further changes needed - and has added insight from a player's perspective in all meetings we have. "He will definitely add a lot of value on the board, and his enthusiasm to make changes shows." Willstrop looks forward to taking on the role: "I am honoured to be acting as President of the PSA, and to have the support of the players. "In the past, I had never envisaged myself filling the position of the president of any board, in all honesty," added the 28-year-old from Leeds. "Looking after myself proves difficult enough, but it became more apparent recently that I could have a go at the job. I have often liked to have a say and now an opportunity has arisen to make something of that. "There's no question I will take on the responsibility with great enthusiasm. "I am excited to be in a position to help the association and its players," concluded the new PSA President. 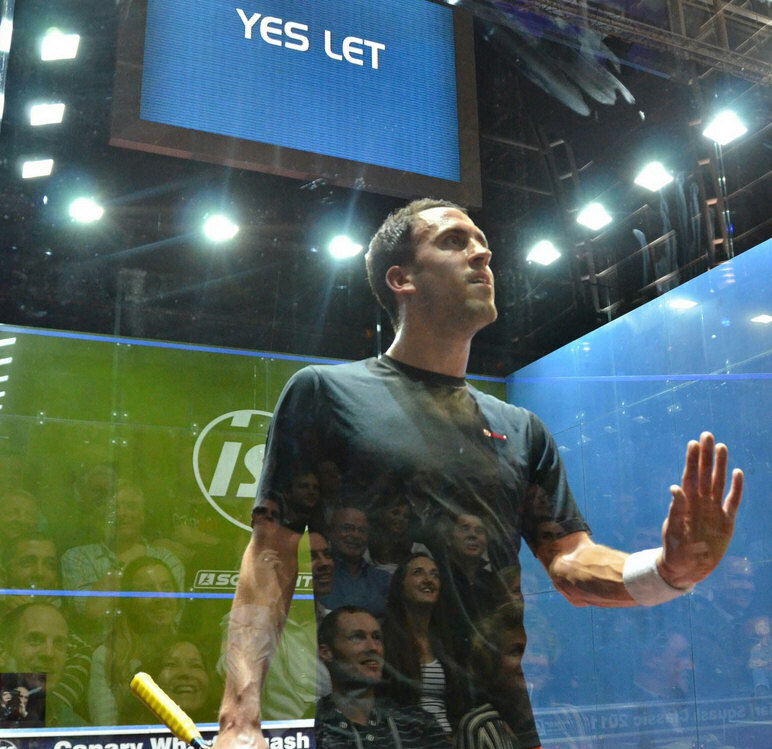 PONTEFRACT’S status in the squash world and its contribution to it has never been greater and the last few weeks have provided ample evidence of that. Most significant has been the appointment of James Willstrop (pictured) to the presidency of the PSA, which is the professional players’ association. Elected by the players, Willstrop adds to an already impressive Pontefract presence on the board. Lee Beachill is the chief operating officer, Richard Bramall is the legal advisor and Claudia Schurmann, newly arrived at Pontefract from New York, is PA to Alex Gough, the chief executive. Willstrop’s role on the board is to represent the views of the players but it will not affect his playing career.